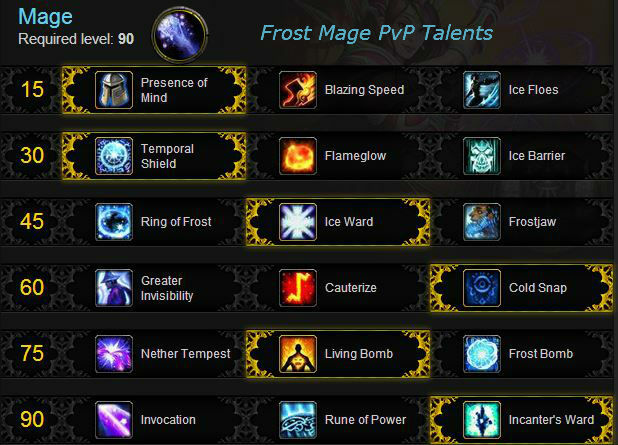 The Frost Mage has been the Mage PvP Spec for some time now. With proper use of your abilities you can throw out a lot of damage. Changes that came in patch 5.4 made your pet more valuable and changed your Mastery. Your pet’s freezes and your Frostbolt slows give you added PvP utility over that of Fire or Arcane. See below for your attacks, cooldowns, and how to put it all together for maximum damage. 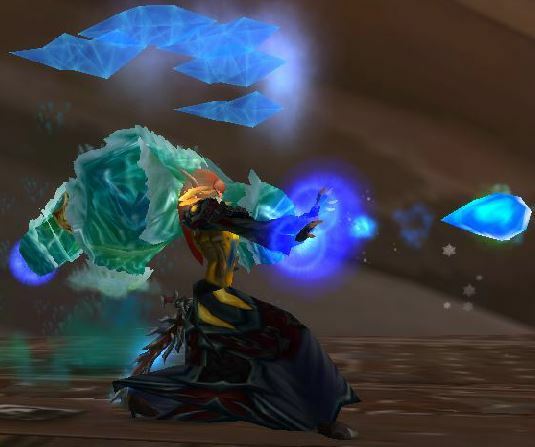 See our Frost Mage PvP guide for details on gems, enchants, etc. Haste is your #1 stat as it reduces the cast times of your spells and makes for faster Living Bomb ticks. You get faster polymorphs, faster CCs, faster globals, etc. Crit: your shatter ability hugely increases your chance to crit against frozen targets. if you have a 15% crit rating then your chance to crit with your Shatter is 85% against frozen opponents (((15% x2) +50) = 85%). Note that this means you have a soft-cap of 25% for your crit rating (100% Shatter chance.) More crit rating than that will not increase your shatter crits. If you have a choice between Crit and Haste then go with Haste. Mastery: Your Mastery was changed in 5.4 to generate icicles and improve your pet’s damage. The latter gives your Mastery some definite value, though it still falls behind Haste and Crit. Reforge out of all of it. You want the enemy to spend as much time frozen as possible, due to your Shatter ability. Deep freeze, stuns the enemy and lingers after your nova or frostjaw breaks. Glyph of Deep Freeze reduces the duration by one second and removes Deep Freeze from the global cooldown, which allows you to cast it immediately after freezing the enemy. All attacks have that much larger chance to crit if your opponent is already frozen. Fire blast – this is a minor, low damage attack that is useful when nothing else is up or when yoiu want to waste a spell to eat a grounding totem or spell reflect. Ice Lance – your bread and butter attack does 4x damage against frozen targets. Casting Ice Lance also unleashes any Icicles that you have stored up from your Mastery. Finger’s of Frost Procs – You get an empowered Ice Lance that not only does more damage, but also acts as if the opponent is already frozen, which lets you do a lot more damage. Your procs have a chance to come from your Frozen Orb, Frostbolt, and Frostfire bolts. Living bomb – In addition to a nice DOT and the explosion, you have a chance to get those Brain Freeze procs whenver it does damage. The Frostfile bolts from your Brain Freeze will generate Icicles. This is slow, it may take awhile to get all five via procs. By the way, those Living Bomb ticks can still crit even if the freeze has broken, so always freeze your opponent before bombing. 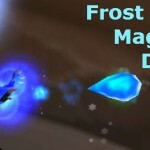 Frostfire Bolt – Only used with the Brain Freeze procs from your Living Bomb. That make the bolt free and instant and to act as if your opponent was frozen (ie: almost guaranteed crit.) Generates one Icicle. Frostbolt – in addition to damaging and slowing your opponent it generates one Icicle. Frozen Orb – Grants one Finger fo Frost proc when it gets to the target. Be aware that this will break CCs that are within 10 yards of your Orb. Cast Incanter’s Ward and Icy Veins, someone will break the ward for the bigger buff. Freeze and Deep Freeze the opponnt, cast Living Bomb. Blast away, unloading icicles, procs, etc. Learn to Pwn. Join Skill-Capped. Living Bomb is the best damage, Incanter’s Ward is a nice buff, while Ice Ward and Frostjaw set you up for Shatters. The others have no DPS value. Level 15 Talents: Presence of Mind allows you to insta-cast one spell (Ring of Frost will require an “arming period.) Great for spells like Frostjaw. Blazing Speed beaks free of snares and increases your movement speed briefly. If movement is more important to yoiu than insta-casting then this is a good pick. Ice Floes might have some use in PvE. Level 30 Talents: Temporal Shield is a great pick for emergencies (ie: incoming heavy damage.) Bind it to a key and use it often. Ice barrier is a nice “cast and forget” spell which stops a decent amount of damage. Skip Flameglow. Level 40 Talents: Frostjaw freezes and silences a single target. Ice Ward is nice for when that pesky melee gets too close. Ring of Frost is great for blocking paths (such as in various BGs,) but take 2 seconds to arm. Level 60 Talents: Cold Snap resets useful cooldowns. Greater Invisibility can be a useful escape or approach and clears two periodic effects. Cauterize stops that big hit (and ice blocking removes the burn.) Hopefully a healer has your back fot Cauterize. Level 75 Talents: Living Bomb has the best periodic damage. If cast at a frozen target then all the ticks have a chance to be crits, not just the ones that happens before the freeze breaks. Refresh it before it blows and it won’t explode and break nearby CCs. Frost Bomb is best for large PvE or BG groups (more than 5 targets,) especially if you can freeze that group right before it blows. Nether tempest does decent damage, but the extra damage will break nearby CCs. Level 90 Talents: Incanter’s Ward is really the only choice for PvP. It’s the only one that doesn’t require you to stand still. You get a shield and significantly more damage when that shield breaks. Keep this up all the time. Glyph of Splitting Ice – Useful when fighting multiple targets as it does some damage to second target. Glyph of Deep Freeze – Allows you to insta-cast DF after one of your other freezes. Glyph of Icy Veins – Your bolts (Frost, Frostfire, Lance, and Pet bolt) each split into three bolts, for 120% total damage. Each bolt can crit. Practice, practice, practice, and the practice some more. You want to be always casting something. Never leave a cooldown unspent, unless you’ll just piddling around. Bind your keys and learn them so that their use is automatic.